WILLEMSTAD - The entire Kingdom of the Netherlands including Aruba, Curaçao, Sint Maarten, Bonaire, St. Eustatius and Saba has been brought into geological mapping. On 5 October it was unveiled in honor of the centenary of mapping in the Netherlands. 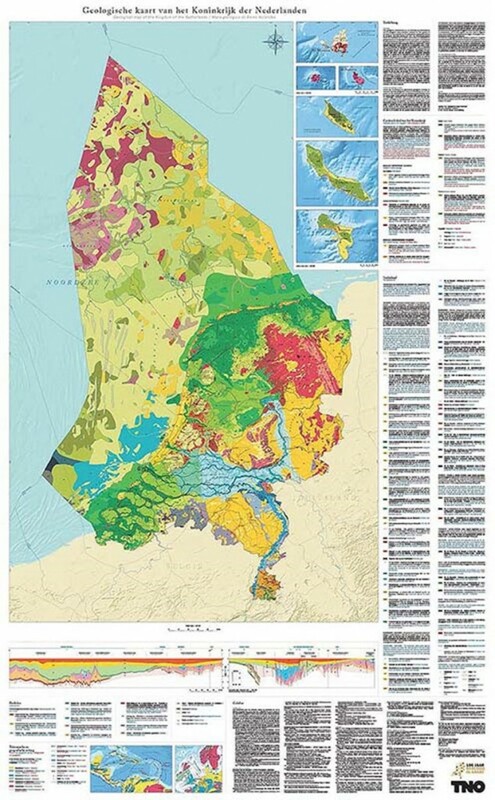 Traditionally, the state of knowledge of the Dutch subsurface by the Geological Survey of the Netherlands, part of TNO, is summarized in an overview map that is published only once every few decades. The last card dates from 1975. Tirza van Daalen, director of GDN: 'The appearance of a national geological map is a special event. After 43 years there is now a new map, not only from the Netherlands itself but from our entire Kingdom. The geology of the Caribbean part of the Kingdom has been charted less systematically than that of the European Netherlands. The geology of the Caribbean part of the Kingdom has nothing to do with that of the Netherlands in Europe. But the goal is the same in both areas: the provision of a geological framework for the estimation of the potential of geological resources and the possible geological risks. For example, in the Caribbean part, there are two active volcanoes, there is the risk of earthquakes and tsunamis and tropical hurricanes can lead to coastal erosion, flooding and landslides. One hundred years after the start, the systematic geological mapping of the Netherlands is still alive and kicking. The knowledge of the subsurface is summarized in an overview map, which can be used as an illustration of the geological history of the Kingdom. For example, the map shows how young the Netherlands is geologically, formed in the last hundreds of thousands of years by the sea, rivers, wind, ice, vegetation and ultimately humans.